All of London is abuzz with the tale of Will Repton. The lone survivor of a massacre in Tibet has returned to England a hero, but the traumatized explorer has no time for glory. Another dangerous expedition awaits. Nothing will deter him from his quest, and no one will unearth his secret—until Will meets Charlotte Baker. Vivacious Charlotte Baker also has a mission—to find a man whose bold spirit matches her own. When she meets Will Repton, she immediately recognizes him as her soul mate, and she’s naively willing to turn her back on the rules of propriety to ensnare him. Will is torn between his fascination with Charlotte and his vow to finish his quest. He knows what it is to risk life and limb—but what if his most perilous adventure doesn’t lie across an ocean, but within his own lost heart? Explorer Fast Fact: After the death of her father, at the age of 41, Victorian artist Marianne North left her home in England to travel the world. She painted in 17 countries across 5 continents depicting nearly 1,000 species of plants, many of them barely known to botanists and horticulturists. More silence. Honestly! She would not stand here and let him trample her heart. She whirled to leave but a steel hand gripped her arm. Her words died in the face of his rising frustration. What did she want? What had she ever wanted but him? She wanted him still. From the first sight, the first instant. Every day, every hour, she wanted him. In a deep, tender, precious place she could not touch with reason. And all he did was sneer and push her way. But his stubborn lips were sealed, and before she could stop herself, she mashed her mouth against them. Instantly, she regretted it. Their chins knocked, their teeth scraped, and a grunt of surprise sounded from his throat. Oh God, what was she doing? She didn’t know how to give a kiss and he certainly didn’t want hers. His hands dropped off her and she sobbed sharply against his mouth. Mortified, she crumpled against his neck. Oh God, oh God, how will I face him? Warm lips clamped to hers expertly. Shocked, she sank to her heels but his arm tightened and locked her against the hard wall of his body. His deep groan shook her. But it was a sound of surrender. Amazon | Barnes & Noble | BAM! 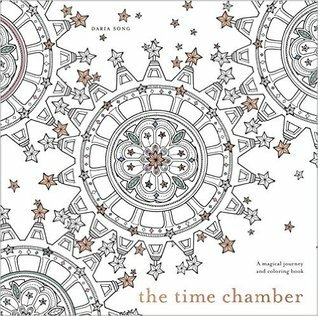 Coloring books for adults? When I first heard about this new trend, I have to admit that I was a little confused. I mean I have spent many hours of my life coloring. I have colored everything from Strawberry Shortcake and Care Bears to the Power Rangers. I spent hours coloring as a child and then again alongside my children. When I think about it, there really is something very soothing to the process of staying in the lines and loosing yourself in a task. When I saw this coloring book, I just had to see what this new generation of coloring books is all about. When I first got the book, I was immediately impressed. These are high quality pages with some thickness to them. The book is a nice size at 10 inches square. The book even has a dust jacket trimmed in gold foil. This really is a different kind of coloring book. It has a certain class and character that I didn't expect to see in a coloring book even with adults as the target audience. The artwork is beautiful. I am not any kind of artist myself. I am honestly doing really good to just stay inside the lines (and I don't always succeed with that simple task). I can still appreciate beautiful artwork and this is really just lovely. I loved the whimsy in the artwork and I felt myself becoming nostalgic for my childhood as I turned the pages and toured the little girl's room along with the fairy and her friend owl. Because it is coloring book, I felt like I became an active part of the story. I noticed details in every page that I most likely would have missed because I was helping to bring the art to life. I found myself looking for the owl on every page. I really loved the pages with detailed patterns. What is really wonderful about this book is that no two people will have the same experience. The end result will always be different and will reflect the individuals tastes and preferences. I would highly recommend this book to others. This is the first coloring book for adults that I have had and I plan to try to get a few more. This book would also make a fantastic gift along with some nice colored pencils. I would definitely look for Daria Song's work again in the future. I received a copy of this book from Blogging for Books for the purpose of providing an honest review. This book did something that I honestly did not think was even possible for me. When I started the book, I wasn't connecting with it at all. I was having such a problem with it that I seriously considered not finishing it about a third of the way through. The story just wasn't clicking for me. I decided to read a bit more....and the impossible happened....I couldn't put it down. I can't remember this happening to me before this book. I ended up liking the story quite a bit in the end. I made the decision to read this story because the idea of it just really appealed to me. A murderer that spends their time online. Wow. I spend way too much time online so the idea behind this book is actually quite scary to be honest. We all know that the internet can be a dangerous place and this story sounded like it could be pulled for the headlines someday soon. Freddie is a struggling journalist trying to jump start her career. When she runs into her childhood friend, Nasreen, who is now with the police, she hopes that she might have found her big break. Freddie is much more savvy with technology than any of the members of the police force and soon finds herself working to help catch a killer as a social media consultant. The stakes are high and she soon realizes that the most important thing is to catch the killer before it is too late. Once the mystery really gained momentum in the book, I was hooked. All of the Twitter clues paired with regular police work really keep things interesting. I think that the way the police were divided over the importance of social media in this case was really well portrayed. The group of police were really interesting characters together. The frustration they all felt when things went poorly was intense and I thought that the author did a great job of showing their layers and complexity. I do have to say that I didn't like Freddie in a lot of ways. I think that may be why the first part of the book was so hard for me to get into. She makes a lot of really bad decisions and doesn't always work well with the rest of the team. I disliked her less by the end of the book but I wouldn't say that I ever grew to like her. The relationship between Nasreen and Freddie was hard to figure out. The build up as to what happened in their past was intense. I really expected a lot of fireworks when the truth was revealed. The reality was a small firework that didn't have a lot of long lasting effects. Once it was out in the open, it wasn't really as much of an issue as I had expected. I would recommend this book to others. I think that my inability to connect with the story at the beginning was really more me than the book. This is the first book by Angela Clark that I have had a chance to read and I look forward to see what else she comes up with in the future. I received an advance reader edition of this book from HarperCollins UK, Avon via NetGalley for the purpose of providing an honest review. Photo Credit: Danny Loo at the Herts Ad. Angela Clarke is an author, columnist and playwright. Her debut crime novel Follow Me (Avon) is out December 2015. 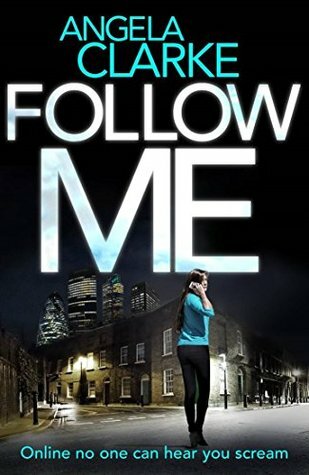 Follow Me is the first book in the Social Media Murder Series. The next book in the series Are You Awake? is out summer 2016. Her memoir Confessions of a Fashionista (Ebury) is an Amazon Fashion Chart bestseller. Her debut play The Legacy received rave reviews after it's first run at The Hope Theatre in June 2015. Angela's journalist contributions include: The Guardian, The Independent Magazine, The Daily Mail, and Cosmopolitan. Now magazine described her as a ‘glitzy outsider’. Angela read English and European Literature at Essex University, and Advances in Scriptwriting at RADA. In 2015 Angela was awarded the Young Stationers' Prize for achievement and promise in writing and publishing. 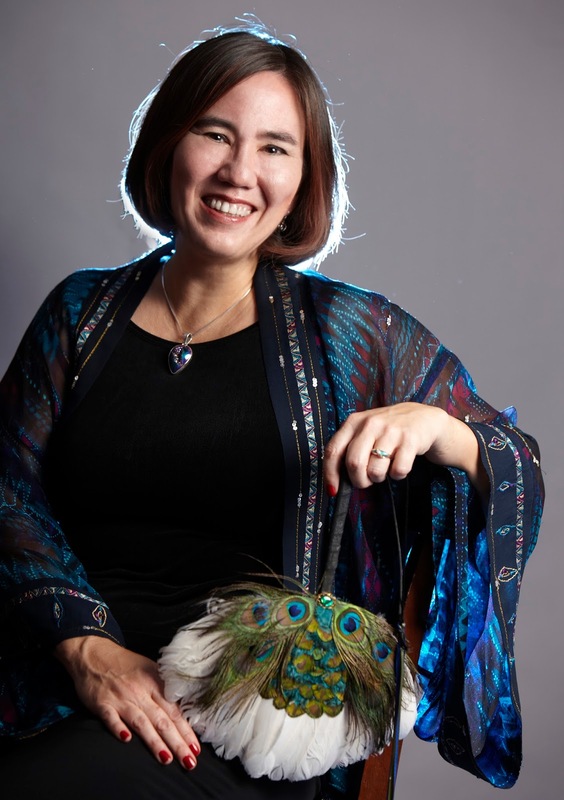 Though waitressing at The Darby isn't exactly Maggie Walker's dream job, it pays the bills and gives her time to work on her novel. Now if only she could stop fantasizing about gorgeous Anthony Moretti every time he sits down at her table, she'd really be in great shape. 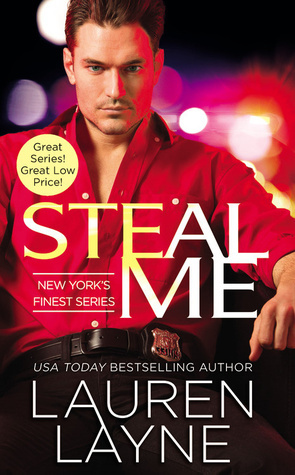 But when he needs her help identifying a criminal threatening The Darby-and Maggie recognizes her ex-husband-she fears her fresh start might be a pipe dream. Faster than a New York minute, Maggie and Anthony find themselves in one perilous pursuit that only gets hotter with each and every rule-breaking kiss. I really enjoyed this one. 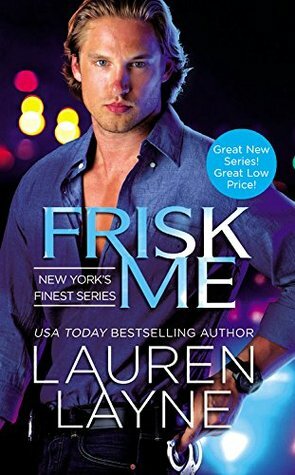 The first book in this series, Frisk Me, was good but this one was even better in my opinion. This book was really the perfect combination of romance and suspense. Once I really had a chance to sit down and read, I didn't want to put this one down. 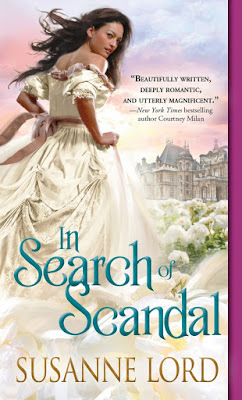 I am falling in love with the Moretti men along with the heroines in these books. I kind of wish that this fictional family could adopt me because they are just a lot of fun. It is the Anthony's turn to take the lead role in Steal Me. Anthony is the oldest sibling in the family and the highest ranking family member in the NYPD with his position of Captain. He is also the only member of the family who tends to get things spilled or dropped on him by the waitress during every Sunday brunch. This serious man that is completely career focused doesn't have a lot of patience for their clumsy waitress. Maggie is the waitress that inevitably spills items on Anthony every week. Who can really blame her? He would make just about anyone nervous with his scowl and take charge mentality. And don't forget to call him Captain or you might see a bit of attitude. Maggie is working on writing a book when she isn't waiting tables. In her tiny apartment, she has made a life that she is enjoying along with her dog, Duchess. When she has important information regarding a case that Anthony is working on, they start spending a lot more time with each other. They find out that they both have a lot to learn about each other as they work together to catch a thief and keep Maggie safe. I liked Anthony and Maggie a lot. I really can't say that related to these characters personally but I could see where they were coming from. Anthony has a really hard time finding a healthy balance between his personal life and family and he tends to try to fix everything. Maggie also wants to fix everything but she tries to do it by making everyone happy. They are both really good people. Neither one of these characters made any demands on really anyone and instead take responsibility for more than they should. I think that Anthony and Maggie fit really well together and I loved them as a couple. Their personalities just complimented each other perfectly and the chemistry between the pair made a heart skip a few beats. I also really like the suspenseful parts of the book. The case that Anthony works on during this story seems almost too strange to be true. The more that is revealed about the suspect the more realistic it sounds. Maggie's story really was interesting. I came to feel a lot of respect for her character after learning about everything that she had been through in her life. During some of the most suspenseful parts, I wanted to slap Anthony a little but I do think that his behavior clearly illustrated his internal struggle. The pacing of the book was well done and the romance and suspense had a nice balance with both moving the story forward. I just loved the writing. The secondary characters also added a lot to this book. Who doesn't want a grandmother like Nonna? I would take her as a roommate any day. The same group of characters that we met in the first book play important roles in this one as well. This book could be read as a stand alone but I think it would be best to read them in order. Who would want to skip the first book anyway? It's a good book....trust me, you'll want to read it. I would highly recommend this book to fans of contemporary romantic suspense. Lauren Layne is consistently able to deliver smartly written stories that will melt your heart. I can't wait to get my hands on the next book in this wonderful series. I received an advance reader edition of this book from Forever - Grand Central Publishing via NetGalley for the purpose of providing an honest review. A long-time romance reader, Lauren Layne thinks the only thing better than reading about happy endings is writing them. She now pursues a full-time career in Happily Ever After, a job she's naturally suited for after marrying her high school sweetheart. A bit of a nomad, Lauren's lived everywhere from Orange County to Manhattan, and currently lives in the Seattle-area. Her hobbies include coffee by day, wine by night, and lots of writing in between. She's also a total website nerd and insists you check out laurenlayne.com! She can forgive, but can she forget? Some days, Everly still thinks she sees him. In the food court at the mall, or in a car speeding past as the light changes. 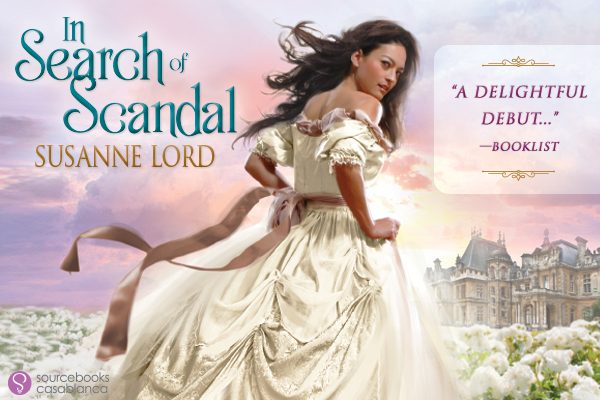 It only lasts a second, but when it happens, she slips back to a time when she was ruled-and nearly ruined-by August Kincaid. And it doesn't matter that she's moved on, that she's about to marry another man. In those moments the only thing she can do to regain control is take a deep breath and remind herself that August can't hurt her-because he's in a coma. Except that he's not anymore. August is awake. With no memories, he sets out to solve the mystery of his lost life. He unearths a photograph of a beautiful redhead named Everly and knows instinctively that she's the key. But when he finds her, the August she describes is more monster than man. Tortured by the thought of having hurt her, August wants only to become the man Everly deserves. As the new August emerges, Everly glimpses the person she first fell in love with. But can she trust that this August is real? When the final secret of their shared past is revealed, one of them will make a choice that changes their future forever . . .
After a stunning cliffhanger ending in Forgetting August, USA Today bestselling author J.L. Berg delivers the happily ever after that fans have been waiting for in the sequel, REMEMBERING EVERLY. He's forgotten his past, but it hasn't forgotten him. After losing two years of his life trapped in a coma, August Kincaid will do anything to win back the love of his life. But his past threatens to destroy his second chance at happiness, it's Everly who is in danger of paying for his crimes. Author J.L. Berg is a California native living in the South. 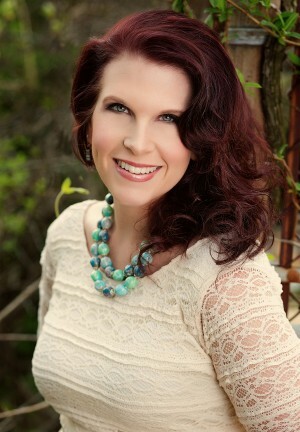 She is the author of the self-pubbed Ready series, which has sold over 100,000 copies. Married to her high school sweetheart. She and her husband have two beautiful girls that drive them batty on a daily basis. When she's not writing, you can find her with her nose stuck in a romance book, in a yoga studio or devouring anything chocolate. According to some (including himself), Constantine is one of the greatest heroes of dragonkin who ever lived. Too bad he's now lonelier than ever and his biggest adventure involves a blow-up sheep-until he has an opportunity to save his kind once again. All Constantine has to do is break into a demon's dungeon, steal an ancient artifact, and reverse a deadly curse. The plan certainly does not involve rescuing a woman . . .
Bee isn't sure whether to be infuriated or relieved when Constantine pops up in her prison. The broody, brawny shifter lights her fire in a way no one ever has before, yet how far can she really trust him? 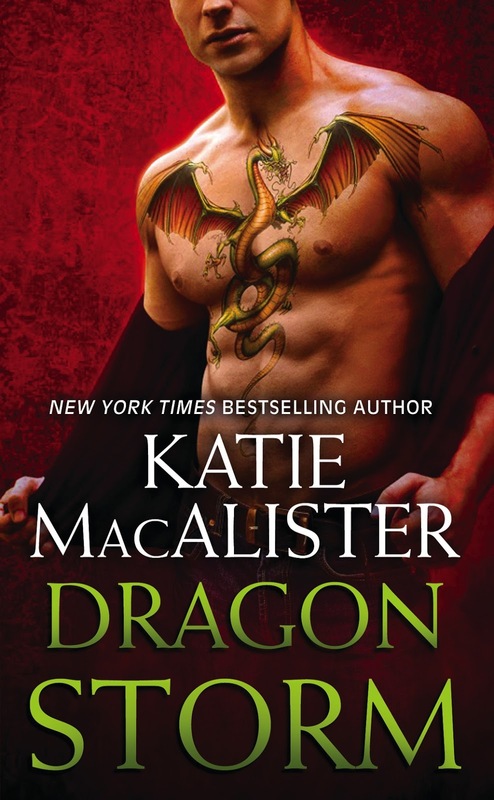 Their chemistry may be off the charts, but when push comes to shove, Constantine will have to make a crucial choice: to save the dragons or the woman he's grown to love with fierce intensity. 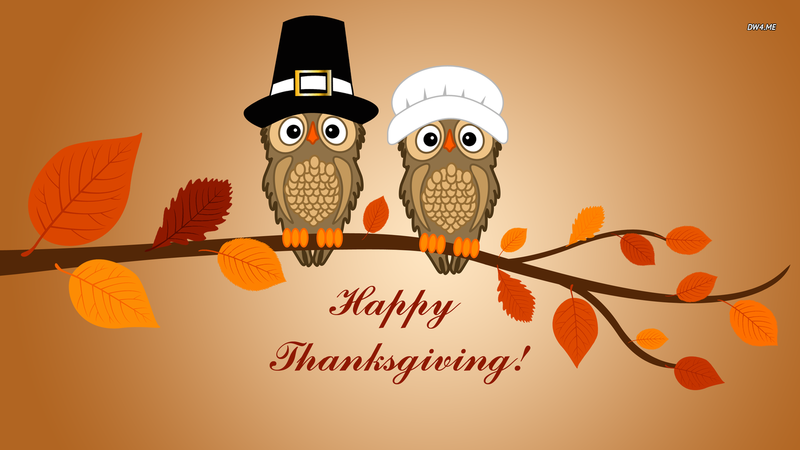 I just want to wish all my readers that are celebrating Thanksgiving a wonderful holiday!! As the illegitimate son of a duke, Bramwell Wesley Hallowsby grew up tough, on the fringes of society, learning to hide his hurt and cynicism with charm and Town polish. He’s carved out a place for himself as a mercenary, serving as bodyguard and general strong arm for the peerage. Bram has nothing to lose… and he’s exactly what Maybelle “Bluebell” Ballenger needs. Maybelle needs a mentor to teach her to speak and act like a lady, so she can claim the place in society she was denied. As they team up to take on the ton, Bram knows she’s hiding something even from him. Despite the deception he sees behind those sparkling blue eyes, Bram wants to believe that Maybelle’s love is no lie. But it seems fate has served him up his just desserts in the likes of this determined damsel. Amazon | Apple | Barnes & Noble | Chapters | IndieBound | Kobo | BAM! The second in Jade Lee’s saucy Rakes and Rogues series, One Rogue at a Time, comes out this December! To celebrate, Jade played a quick round of ‘Would You Rather?’ with us and sent an excerpt from the book to share. Would you rather live one life that lasts 1,000 years or live 10 lives that last 100 years each (but you can’t remember them)? I don’t think 100 years is long enough to figure things out. I want to live 1000 years and maybe by the end, I’d have a clue about how to raise teenagers, for example. Or not curse at someone who cuts me off on the freeway. In this excerpt our heroine (nicknamed Bluebell) is angling for our hero to take her to London where she can meet her father for the first time. She’s bargained for speaking lessons, and now she’s bartering for a ride to London. But she isn’t prepared for the price he demands. “Ooo, an’ me a simple maid from ’Ull. Wot makes ye think I could muster all that?” She exaggerated her accent such that his back molars ground together in disgust. He grabbed her chin, pulling it—and her—toward him. Part of him thrilled at finally touching her pristine skin. Part of him watched how her eyes widened and the pupils darkened, her mouth slipping open on a gasp. Was she afraid of him? Yes. Obviously. And he tried to care. He tried to tell himself that he didn’t want to punish her for crimes she hadn’t committed. But she was a schemer just like the others, and so he damned her all the same. “I will take you to London,” he said, his voice low, his breath hot. She didn’t answer, and he didn’t care. She swallowed, trying to pull herself back, but she was still sitting on the barrel, so she had nowhere to run. She stilled and her eyes narrowed. She was an innocent, and he had to soften. He had to become gentle with her, and so he did. He didn’t want to, contradictory beast that he was. He liked his anger. Stoked it to a hot flame, but not against her. So he softened. He gentled. Where before he had simply wrenched her mouth to his, he now petted her chin. And though he had forced his tongue into her, he eased his penetration. He teased her and then pulled back. “You are a lie,” he said to her panting chest. “You are a brute,” she answered, anger vibrating out of her. He felt the impact of his words on her body. She shuddered, but she also licked her lips. Part of her wanted him, brute though he was. He felt her accept the truth of his words. Her body bowed, and her shoulders drooped. But when she spoke, her voice was strong with conviction. She finally jerked her chin away from the stroke of his fingers. “’At’s been true since I first started filling out a dress.” And then before he could anticipate her move, before it even registered that he was in danger, she lifted her knee. How she’d maneuvered it so perfectly, he didn’t know. But one moment he was hard as a rock, still thinking of ways he could make her willing. The next there was a blinding flash of white-hot pain, and he was crumpled onto the ground. I absolutely love Ilona Andrews. I have pre-ordered exactly three books this year and guess who wrote two of them? Ilona Andrews. When I know that a new Ilona Andrews book is coming out, I actually plan my reading time so that I will be able to finish whatever it is that I am reading the day before the book comes out. I only get two weeks of vacation time each year and I have seriously debated using a day just to stay home and read their books on the release day. So you can imagine how sad it makes me to only give three stars to this book. Three stars is a good rating and I think that this is a good book. It just wasn't knock my socks off good that I have come to expect from this writing pair. I decided to wait for the complete book instead of reading the pieces as they were released on their website. Which by the way...how awesome is it that they do that? At least I think it is pretty awesome. The fact that they are giving their work away to their readers just cements my love for this writing pair. They are just an incredible pair of authors. 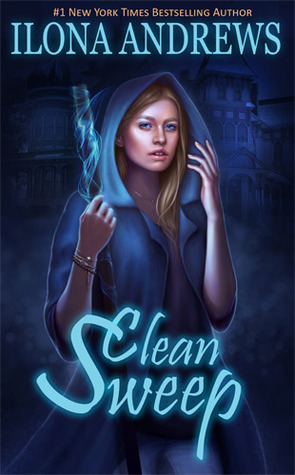 I loved Clean Sweep and consumed that book in less than a day. 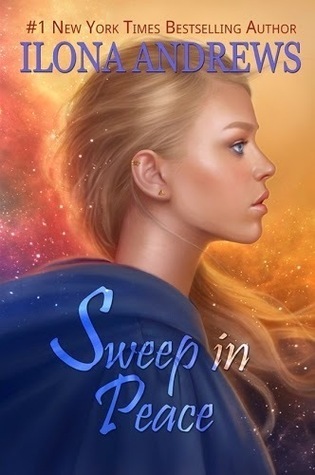 I even listened to the audiobook recently as a refresher so that I would be fully prepared for Sweep in Peace (not to mention that I just like the story - a lot). As soon as I had a chance to sit down and read on the release day, I dug right in to the story and noticed a few things that were different. I missed Sean. I missed Sean a lot. The dialog and interaction between Dina and Sean was really the best part of Clean Sweep. Sean's absence in this book really left a hole for me. The fact that no other character in this book was as strong of a character really made a huge difference. I really missed the dialog with Dina. I remember laughing at the things that Sean, Dina, and Arland said to each other in the first book. I didn't find the humor that I was looking for in this one. It actually took me several days to finish this book because I was able to put it down which is a new experience for me in regards to an Ilona Andrews book. This book felt really dark to me. Dina was much more serious in this one and it seemed that she was holding everything on her shoulders. I have only read the first book in the Edge series so I am not as familiar with George and Jack as other readers may be. This future for them still makes me a little sad. I didn't like them. All of the sides that are meeting at the peace treaty really seem to have lost a lot and still are finding peace difficult. In so many way, many of the characters were at their limit and many were at their breaking point. I did really enjoy seeing more of what Gertrude Hunt can do. The sky is the limit when it comes to this old inn. I was just amazed at how imaginative some of the features this house displays in this book. I really think that we have only seen the beginning of Gertrude Hunts abilities. As more guests stay at the inn over time, it will be exciting to see what develops as the series continues. I also really liked the new chef, Orro. Orro did add a touch of humor to the story but I think that this is a character that I will like more and more as the series progresses. Caldenia was awesome as always. I would recommend this series to others. Everyone should read Ilona Andrews. I seriously believe that. The writing is solid and the story is unique and interesting. I can't wait to see what is going to happen to Dina next.